Affiliate MLM program is a marketing scheme to earn the profit through the affiliates when they make an online sale through the affiliate referral link provided. The affiliate also earns a certain percentage commission on product sale, when they recruit new sub-affiliates and sale happens through the new sub-affiliates. The commission is based on the particular level of sub affiliates. Similarly, the chain process continues through sub-affiliates and you earn money for each sale happened through the affiliate referral link. We are providing this affiliate MLM add on feature to improve your business by promoting your product or service and an opportunity for the affiliates to earn the commission through our affiliate program. To join this affiliate program you need to integrate this add-on in MLM software. ake the sale of your product through the affiliate MLM referral link provided. Enables spillover if the maximum width is attained. We also provide E-commerce integration add-on to promote your products through online. Affiliate program enhances your E-commerce business. Selling the product online through the affiliate referral link promotes your product and the business. You can earn more profit in E-commerce business through affiliate program. If not into E-commerce business, you can integrate our E-commerce add-on feature to integrate two of the world’s most widely used E-commerce platforms, Opencart, and Magento through Infinite MLM software. How does affiliate marketing work for E-commerce? Choose the products to be promoted through online. List out the category of products. Fix the commission rates for all the category. Provide affiliate code or affiliate referral link to the affiliates. Each time the sale happens through the affiliate link the affiliate is paid commission based on the commission rate fixed for that category of products. The performance of the affiliates can be tracked through the affiliate ID provided to the affiliates. You can view the real-time access to all commission provided to the affiliates and the ongoing sales status. 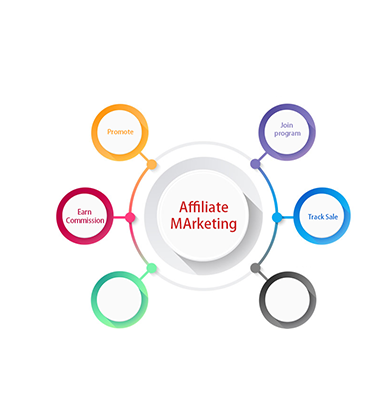 It is not always necessary that the affiliate should sell your product, you can customize your affiliate program to pay the affiliates for the different actions performed by the affiliates like pay per click, pay per lead etc. You can advertise your affiliate program on various platforms. Each level of recruitment of affiliates is called Tier 1, Tier 2, etc. An affiliate can recruit “n” number of sub-affiliates in Tier 1 and similarly the sub-affiliates in Tier 1 can recruit “n” number of sub-affiliates in another level Tier 2. This chaining process continues to many Tiers. Suppose the affiliate recruits sub-affiliates and the sale happens through sub-affiliates using unique referral ID provided to them at Tier 1 level. The affiliate will earn a particular percentage of the sale. Now if the sub-affiliate in Tier 1 recruits other sub-affiliates to Tier 2 level and the sale happens through the sub-affiliate at Tier 2 level through unique referral ID provided to them, still the sub-affiliate at Tier 1 level and the main affiliate also earn the percentage of sale happened at Tier 2 level. In both the cases, the affiliate will earn the percentage of sale but in Case 2, the sub-affiliate in Tier 1 will earn more percentage than the main affiliate for the sale happened at the Tier 2 level. The affiliates can view the details of their sub-affiliates like username, current commission, previous payout, etc. Unique referral id and a link will be provided to the affiliates and sub-affiliates. If the sub-affiliates uses the unique link of the affiliate to view the product. The hit to the unique referral link of the affiliate from the unique clicks of the sub-affiliates gets increased. You can pay the affiliates depending upon the number of unique clicks. You can set the number as per your commission plan. It is not necessary that sale should happen per click. This is called Hit Commission. We integrate with ALMOST everything!